With regular nods to the past from internationally-revered designers, the vintage look has filtered into the chain stores, and now anyone can look like a walking piece of whimsy. But guess what? Thrift stores have been stocking this stuff for years. Quality pieces from the past 50 years and beyond are there for the taking, often at a fraction of their original price, merely because they are second hand. Sometimes I go in just because I need some bright ideas – and the thrill of finding the perfect garment or accessory keeps me coming back. It feels extra righteous, because I’m reusing these clothes and my money often goes to a good cause as well. So Wes Anderson films and vintage trends aren’t your inspiration for all things sartorial. Well, certain thrift stores are also stocking the sort of smart, timeless pieces that make you feel like a rock star at job interviews or formal events. I have structured, high-waisted shorts and a couple of blazer jackets that always win compliments. Not to mention how flattering these vintage cuts can be for people whose figures aren’t the hip-less, straight-up-and-down shapes of today’s models. Best for: Everything! 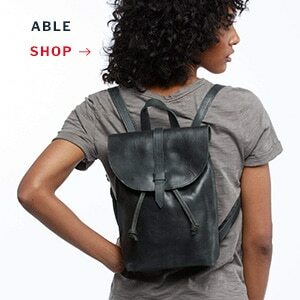 Men’s and women’s clothing and accessories. This place is fantastic. 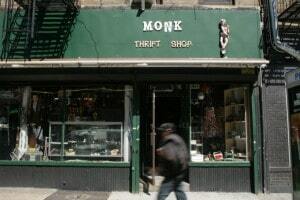 With the bated breath of someone walking round a cathedral, I passed racks of elegantly-aged leather satchels (from $35), rows of Birkenstocks ($20), denim cutoffs ($20) and patterned men’s shirts (from $20). 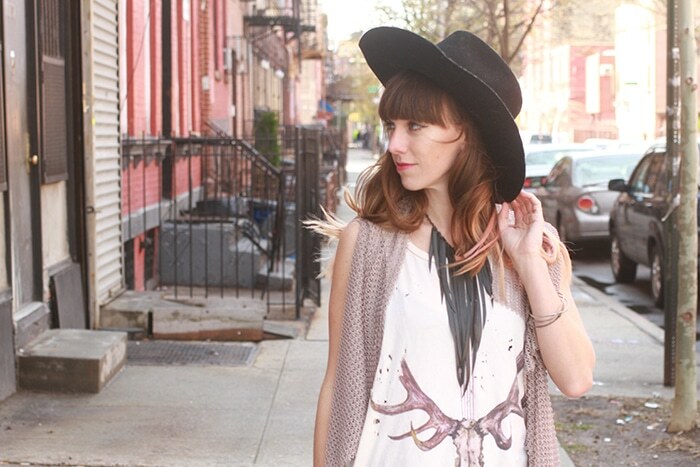 Dreamy patterned frocks and silk tops vie for attention with retro music shirts and fringed jackets. 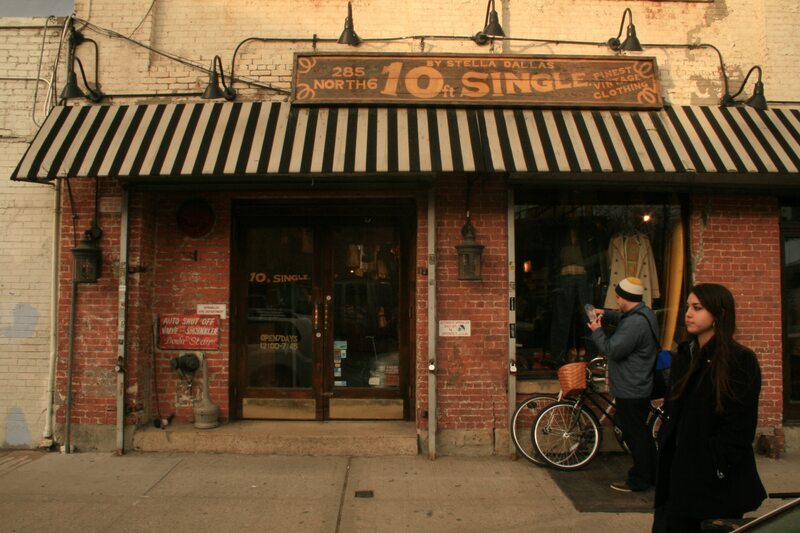 Fans of leather should come here for shoes, cowboy boots, bags, belts and the odd skirt or pair of trousers. Prices are very reasonable, especially when you consider how unique and well cared for most of the pieces are. Tags are informative and easy to read, with items arranged by style and color over size; although that may seem like bother, it’s actually very hard to translate today’s sizing measurements. Come here with a basic idea of what you want and you’ll probably find something ten times better. Best for: Dresses of beauty; the perfect gift. Stocking men’s and women’s clothing. 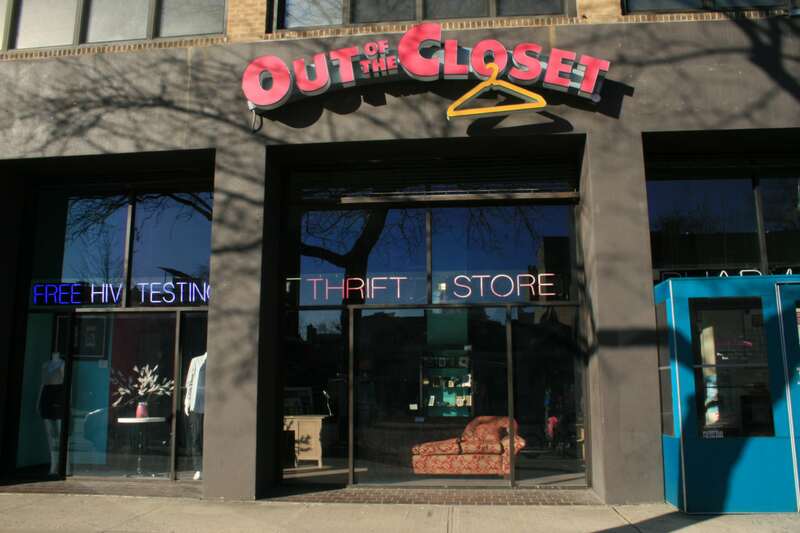 My second favorite thrifting destination is happily just a walk away. 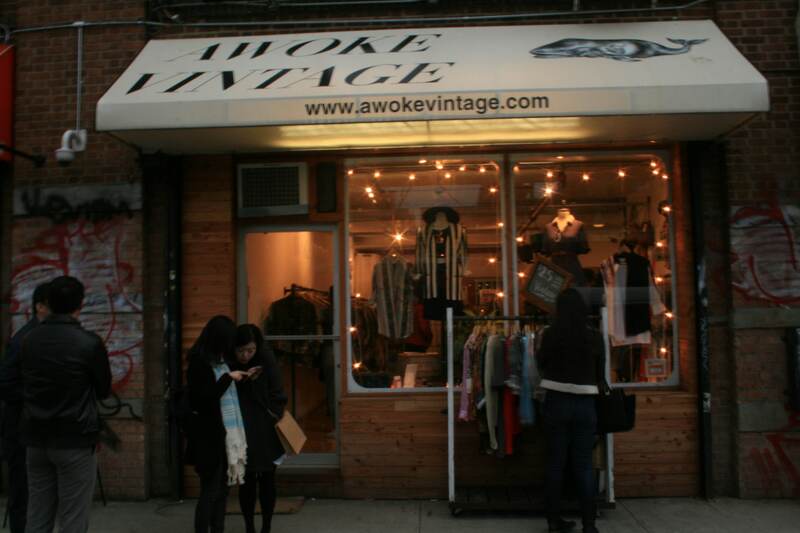 Awoke Vintage is a modestly-sized store for shoppers who prefer to browse hand-selected, quality pieces that haven’t been stuffed into already-heaving railings. The staff are friendly and interested in finding something perfect for you. Selections have clearly been inspired by Instagram filters, but one look at the quality of these unique finds and you’ll never bother with Urban Outfitters again. Prices aren’t in the ‘bargain’ category, but honestly, it’s worth it. Hi Wildflower Botanicals’ small batch skincare is stocked here, as well as fab sunglasses by UK brand Spitfire. Best for: Dramatic dressers; jewelery. Stocks for men and women. This is the quintessential rummage store, where a bit of digging may produce a beaded flapper dress, a Hell’s Angels biker jacket or a purple tuxedo. Admittedly, it’s hit or miss – you may well leave empty handed (although the jewellery collection is pretty funky, as are the sunglasses which go for $8 a pop). 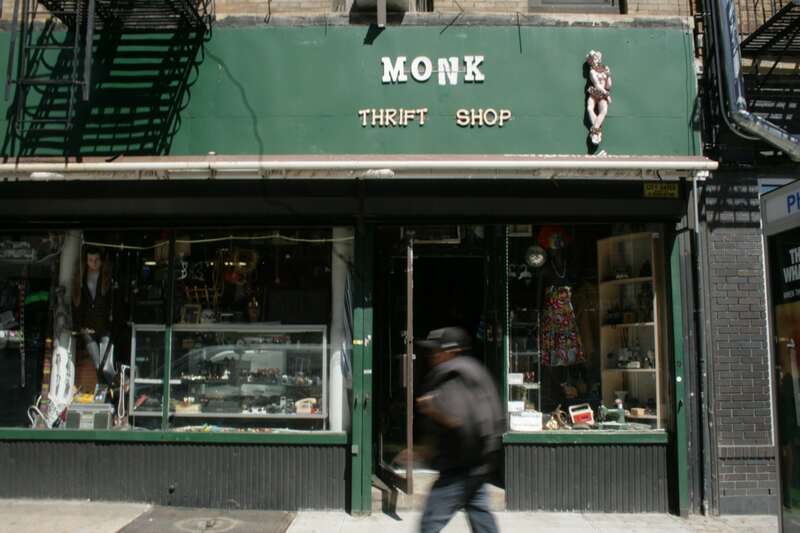 But I love this store for its position that skirts the iconic East Village and the way its jumble of offerings feeds my romantic notions of the characters who populated this neighborhood and wore whatever the hell they wanted. If you want something wild to wear to a louche fancy dress party, there’s a particularly fascinating rail of attention grabbing dresses from $12 up. And platform heels for any wo/man who worships at the altar of Studio 54. Best for: Folks on a budget; the men’s section is a lot smaller. 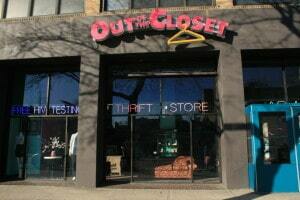 This thrift store on Atlantic Avenue drew me in with its funky exterior, not to mention its dirt cheap prices. The offerings are not wall-to-wall excitement, but if you want a logo t-shirt of the type proliferating in menswear stores (or three, since they’re selling for as little as $2.99), some decent workout gear (there always seems to be a few pieces), or a standard High Street dress at a fraction of the original cost, it’s well worth a visit. If you get a kick out of finding an unexpected treasure, I feel like this place could provide on a lucky day. Even better, all proceeds go to the AIDS Healthcare Foundation. 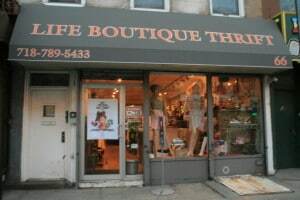 Best for: Quality women’s clothing and shoes, some designer. Small men’s section. All the clothes in this medium sized store are hand-selected with a clear eye for elegant shape and quality materials – and all in perfect condition. The range caters for most budgets, with a $12 sundress from Band of Gypsies hanging between a $499 vintage Prada long-sleeved frock and an ankle length, floaty floral number from 1970. All pieces are donated, and the tags inform shoppers whether they are vintage and what year they were made if so. There are two long $5 racks which are definitely worth a glance. This non-profit organization donates all profits to Chai Lifeline, supporting Jewish children with life-threatening illnesses. Even Better Than Expected: Pictures From the EWC's Fashion Swap!